For a one time donation to Chabad of £350 you can perpetuate the memory of your loved ones who have passed on. 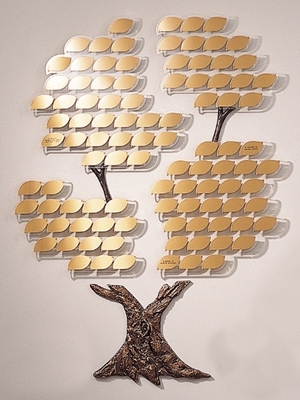 Purchase a leaf on our beautiful Tree of Life, kindly donated by Larry & Mandy Kaye, and guarantee that your loved ones will forever be remembered. This can either be payed in a single payment or in installments. Please contact us if you would like to purchase a leaf. Larger stones that are affixed to the wall near the bottom of the tree are also available for a donation of £1000.